‘When I first came here six years ago, the catalogue was a complete mess,’ Caroline begins. ‘A range of different library volunteers were allowed to catalogue, and you’d have several Dorling Kindersley books under four or five different versions.’ Caroline spent two or three years cleaning up the data. With over 34,000 resources now catalogued in their system, this was no small feat. Caroline is clearly passionate about maintaining high-quality, consistent catalogue records, understanding that this allows the library to perform its key function: enabling users to find exactly what they want. Caroline previously downloaded catalogue records that were freely available through the national library (the British Library, in London), though was often frustrated by their lack of suitability to the school community. Before using SCIS, Caroline performed original cataloguing for resources such as maps, and used the data supplied by her previous system, ‘although the keywords were weird, so we’d generally just scrap the keywords in them’. SCIS Data integrates seamlessly with her Accessit system, which means that Caroline can search and import catalogue records directly within her library management system. ‘Cataloguing is just far quicker now,’ she says. This fast-paced process is supported by the high cataloguing hit rate in SCIS Data. Having keywords created specifically for schools means that Caroline no longer has to remove the keywords like she used to. ‘I generally keep the keywords that SCIS has suggested, so it’s much, much quicker,’ she adds. Eltham College also subscribes to SCIS Authority Files, which links particular keywords and name headings, allowing them to make ‘See’ and ‘See also’ references. Caroline compares Authority Files to that of suggested searches on platforms like Amazon or Google. Having access to SCIS Data keeps cataloguing time to a minimum so that Caroline can support the school community. Caroline feels fortunate to work in a school where the library is valued by staff and students; she does not need to actively advocate for or encourage students to make use of it. A large part of her role is supporting sixth form students during their study periods. 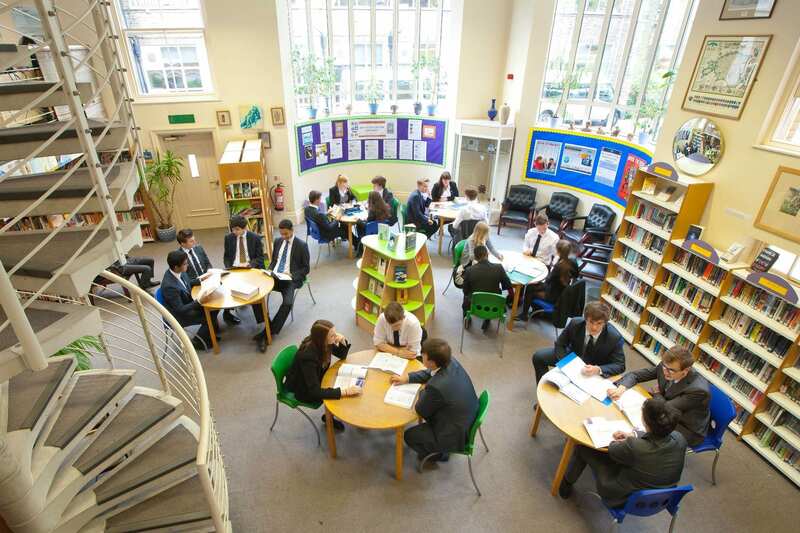 She also encourages the lunchtime use of the library, which is abuzz with students who are happy to come in to do their homework and chat among their peers. A subscription to SCIS Data means that library staff like Caroline have more time to support their school community and offer enriching programs and services. To see which other library systems SCIS works with, please visit our Library management systems page. These interview extracts have been lightly edited and reordered where necessary to improve readability and clarity.